Free breakfast, free Wifi, Free Parking Deluxe room with a King size bed. 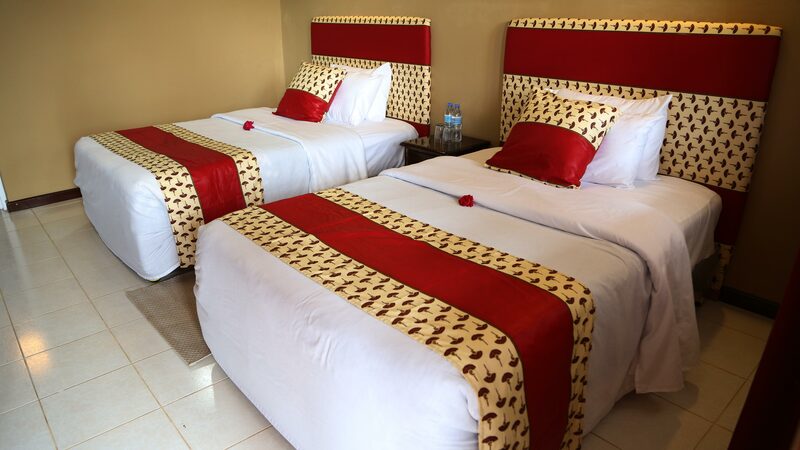 Highview Hotel is located 140km northwest of Arusha, outside Karatu town. Set on a hill, guests can enjoy a spectacular view over the surrounding coffee farms and the Ngorongoro Highlands Forest Reserve. The Location is the ideal base for trips to Ngorongoro Crater, lake Manyara National Park and Lake Eyasi. Longer trips inlude Tarangire National Park, Serengeti National Park, and the lake Natron Area.